A support group for stroke survivors of all ages and their caregivers, family members and friends. Survivors of Stroke Niagara (SOS Niagara) was established by a small group of people who felt there was a need for support after they or their loved one suffered a stroke. 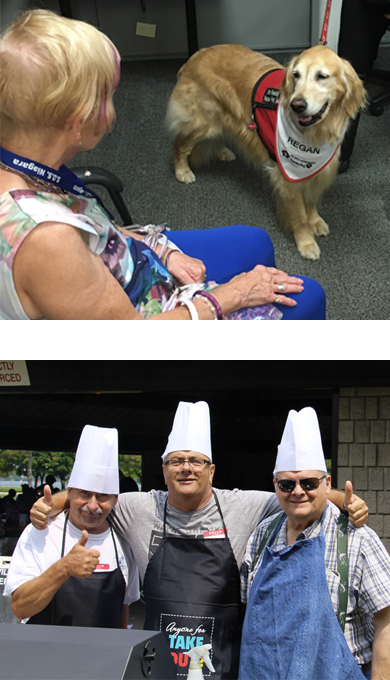 SOS Niagara has now grown into a thriving support group that helps people connect with peers, exchange information and resources, raise stroke awareness, explore the personal impact of stroke and build supportive relationships. General meetings are usually two hours long. Guest speakers are often part of the first hour, providing information on a variety of topics. Group news is shared by the executive committee. During the second hour of the meeting, stroke survivors and caregivers separate into two groups. Each group gathers in different rooms to share their thoughts and provide support. Activity nights are an informal social gathering held on the last Monday of every month. Members are encouraged to attend for fun and friendship.